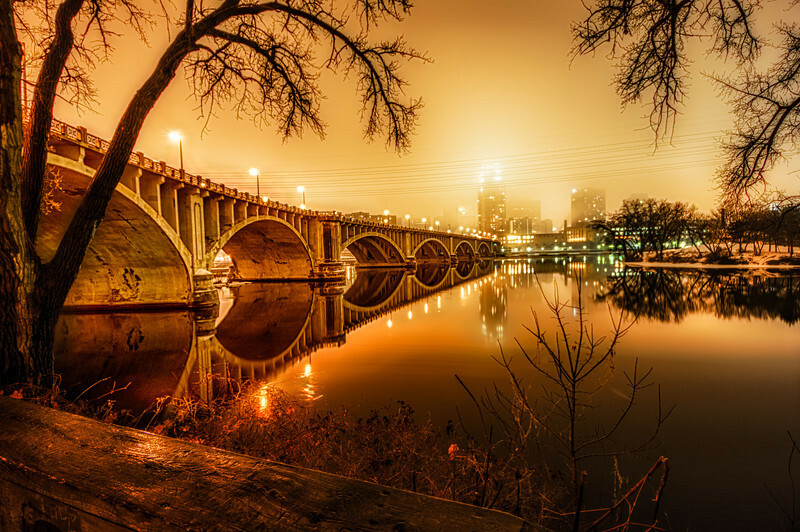 A quick update with the Third Avenue Bridge in Minneapolis. This is actually two HDR’s layered in Photoshop. I combined one HDR of the bridge for maximum detail and then another HDR for the softness of the foggy city. Let me know what you think and if you enjoy my work feel free to like my Facebook photography page www.facebook.com/MarkGoodmanPhoto. Very nice result. Pleasing for the eyes.